Bat Islands Long Range Dive Site – The Murciélagos, commonly called “The Bats,” are dive sites famous for high-voltage adventure diving. 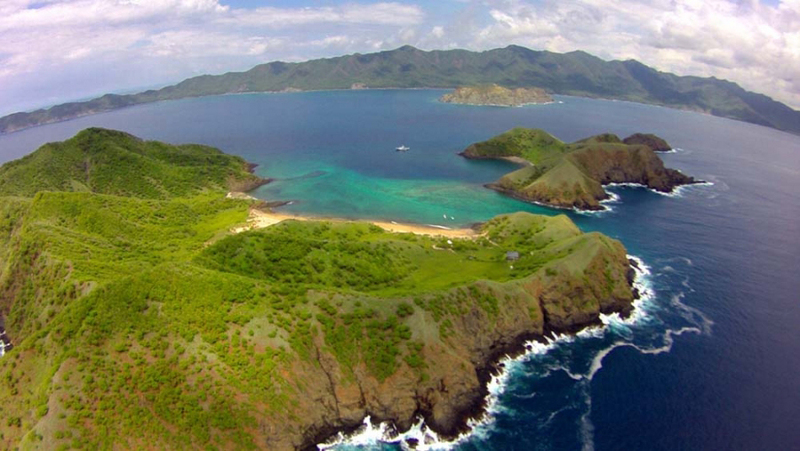 They are a chain of small islands that extend far out into the Pacific waters at the tip of Santa Rosa National Park. The result is larger schools of fish, more pelagic species and many times better visibility. 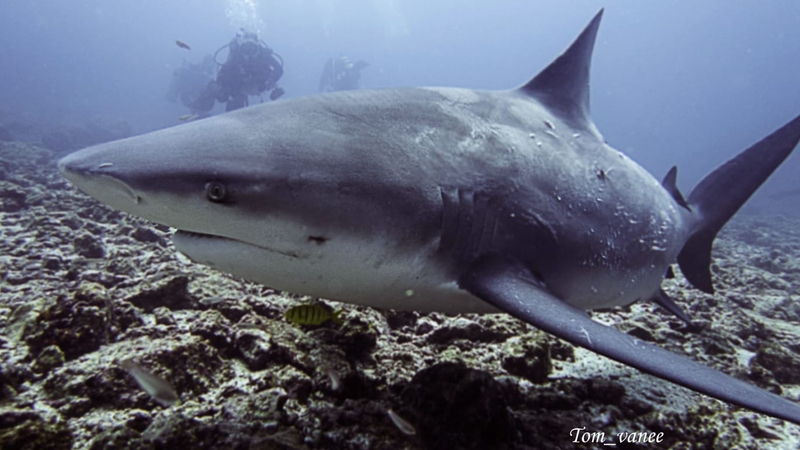 A popular dive site is “Big Scare” where divers often find themselves surrounded by six to a dozen large 8-12 ft Bull Sharks! The safety stop is always interesting and it is a drift. 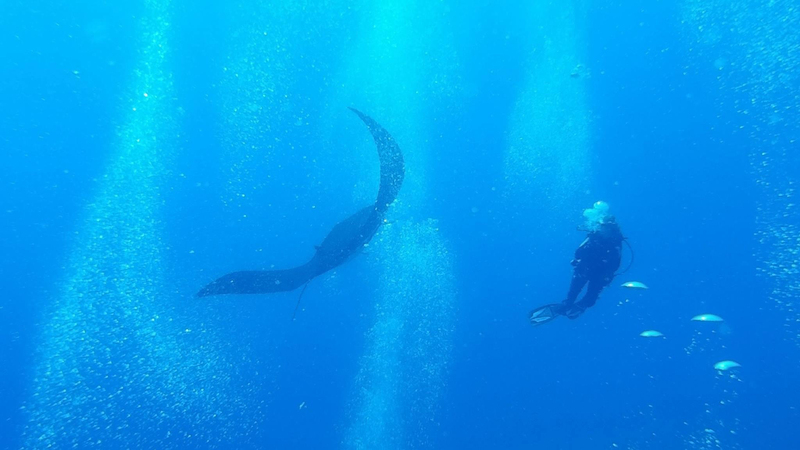 We consistently see manta rays, whale sharks & sail fish. The crossing from mainland to Bats usually results in humpback whale and a lot of turtles sighted on the surface. 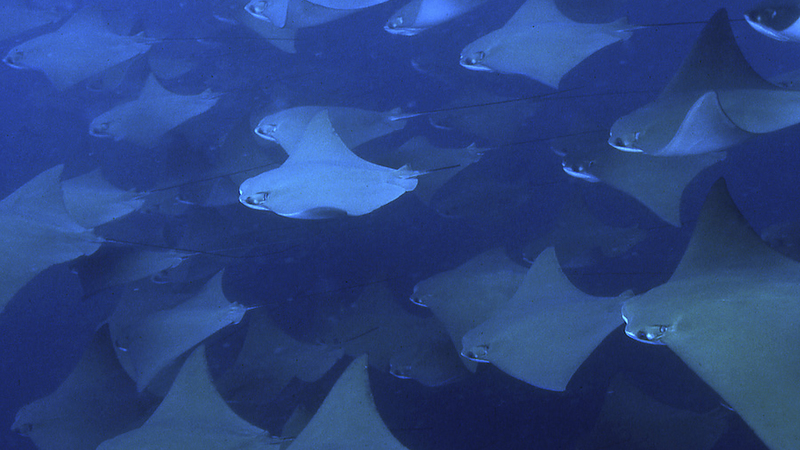 Black Rock at Bat Islands, is an isolated pinnacle, it is common to see squadrons of eagle rays, stratas of schooling fish, such as Horse-eyed Jacks, Snapper, Spade Fish, Grunts and Gaff-top Sail Pompano, and an occasional Manta Ray or schools of cow-nosed rays. During the months of January & July there is a likelihood of seeing migrating Orcas or Humpback Whales and there are often numerous mating turtles on the boat ride to the Bats. The boat leaves Coco, Playa Hermosa area at 7 AM and Playa Hermosa around 7:30 am and returns around 3:30-4:00pm. Even though you may make a two tank dive, most divers prefer three tanks. Snacks, fruit, and beverages are provided. This not a dive for beginning divers. Transportation from your hotel, tanks, belt and weights, picnic lunch, fresh fruit and cookies, bottled water on boat. Rental Gear available $25 for full set or can be booked a la carte items.